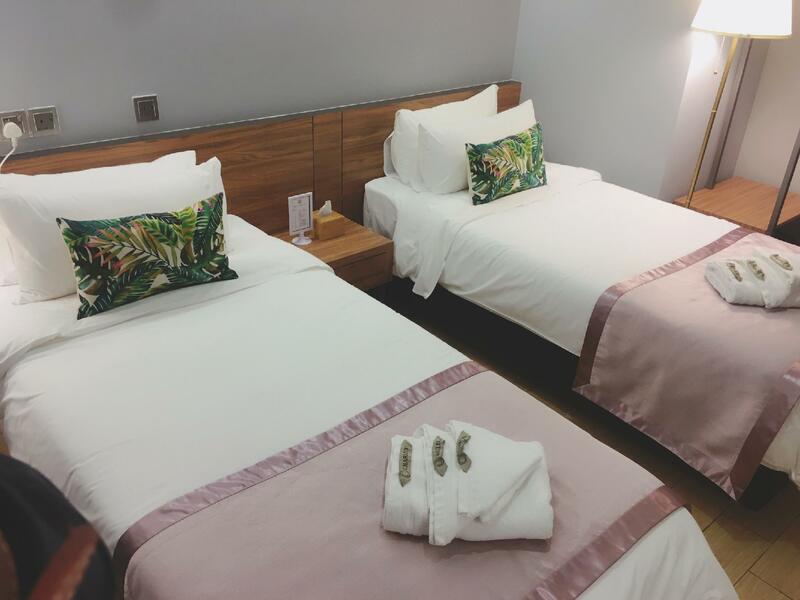 "Will sure to be staying here again when i am back in KK"
Have a question for Hotel Gaia 95? "New and clean with perfect location!" "(food, groceries, local attractions, shopping, etc) The hotel staff are friendly and helpful." "Hotel is nice and clean and affordable." 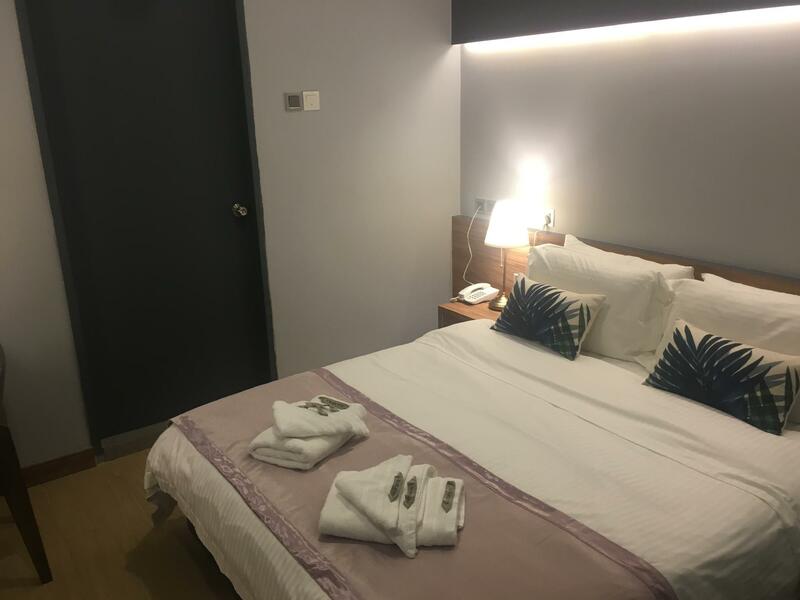 Well-placed in the sightseeing, beaches, shopping area of Kota Kinabalu city, Hotel Gaia 95 provides a most conducive spot for you to take a break from your busy days. From here, guests can make the most of all that the lively city has to offer. With its convenient location, the property offers easy access to the city's must-see destinations. Hotel Gaia 95 offers many facilities to enrich your stay in Kota Kinabalu. 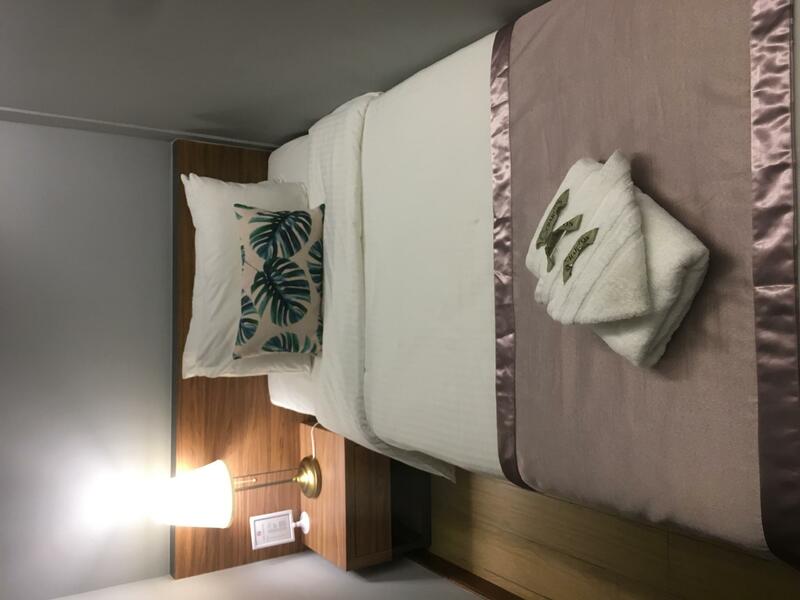 Top features of the property include free Wi-Fi in all rooms, daily housekeeping, 24-hour front desk, facilities for disabled guests, luggage storage. The ambiance of Hotel Gaia 95 is reflected in every guestroom. complimentary tea, flat screen television, mirror, internet access – wireless (complimentary), air conditioning are just some of the facilities that can be found throughout the property. The property's host of recreational offerings ensures you have plenty to do during your stay. Whatever your purpose of visit, Hotel Gaia 95 is an excellent choice for your stay in Kota Kinabalu. "I like their location, and it is so strategic which in the h..."
I was there for a day trip , for some business. Took a nap in the avro and woke up surprised to see the streets filled with food trucks. Heard it's only on weekends. Woke up the next morning for an early flight and the streets turned into a flea market. Very versatile. Walking distance to a handful of eateries and shopping malls such as Suria Sabah and wisma Merdeka. Easy to get a Grab Car. Except when the roads are closed due to the markets.. The room was clean, big enough for two since we did not have luggages but only backpacks. Mattress was comfy. The toilet was big. The location was perfectly located in the Gaya street where you can easily access a lot of recommended local restaurants. The Sunday Market, Night Market were held just in front of the hotel. Just one thing, the hotel staff did not clean the hair on the toilet at all during our 5-day visit and the sink did not work well. The place looks new.although the space is limited but the hotel still very nice and clean.the receptionists are very helpful.they made honeymoon setting as requested...kuddos to the hotel.. walking distances to wisma merdeka and suria sabah.many eateries nearby. This is a new hotel in a good location on Jala Gaia so central to the city of KK. Its very clean being a new build. The rooms are on the small side but comfortable enough and all have decent WiFi, TV, Aircon and a decent bathroom. A good place to stay in KK. Pros: very good location surrounded by chinese and mamak restaurants. Clean and comfortable rooms. Walking distance to waterfront abt 1km and also suria sabah mall. Cons: rooms are small but doesnt matter if ur a business traveller. A bit noisy from d shops below. Overall great value for money since its centrally located. Nice and clean hotel. Saturday night and Sunday morning very happening here. Just outside hotel. The staff was very sweet and location is great but the room could be cleaner. I kept asking for the floors to be mopped (there was always hair and miscellaneous particles on it) but they only swept. There was human hair on sheets and they were yellow from sweat and did not smell fresh when we arrived. The staff, again, was very sweet at all times and tried to fix things. So, I’d say housekeeping is an issue and the room (advertised as spacious delux queen) is tiny, nowhere to keep two suitcases. Great location, right in the middle of the weekend Gaya Street market and walking distance to malls around. Food stores located all around. Would recommend Yee Fung kopitiam for local noodles. Hotel is nice and clean and affordable. Will definitely come back. This was my second time to stay at Hotel Gaia 95. I like their location, and it is so strategic which in the heart of the city. It is so convenient for me to reach out to anywhere. (food, groceries, local attractions, shopping, etc) The hotel staff are friendly and helpful. They assist me on anything whichever they can. The room is clean and neat. I will definitely come back to stay at Hotel Gaia 95 again for sure. service is good, location is good with lot of food around. Room is clean but i caught 5 cockraches in my room, seem to be coming out of the toilet drainage as it cant be close. please look into room 303. The hotel seem new, located middle of gaya street, strategic location, easy to search for food around. Consider good value for money of hotel located at the heart of KK. Stay for 2 night, first night the lift was out of service, thus only can use the staircase to reach the room at level 2, but is not a big issue, the lift is back in service on day 2. The room is clean, bed is comfortable, good enough for short stay. Love the location. Walking distance to major malls and eateries. The rooms are clean, choose rooms with windows if you come with family because the ones without have very limited space for luggages. Only one problem during our stay, three different rooms we roomed in were colonized by ants. Kindly do aomething about this. The staffs are helpful but generally needs to be more welcoming and friendly. Felt like our coming and going just didn’t matter to them. But thank you for allowing us to keep our luggage at the lobby while we transferred rooms. That was so kind of you. Location is directly in front of Sunday Market, within walking distance to multiple restaurants, malls, banks, and shopping malls. Staffs have been very helpful in assisting on the car rental arrangement. Room albeit small is very clean and cozy. Only downside is the bathroom's exhaust fan having minor issue, where we had to turn off the exhaust fan when using the bathroom as it was screeching loudly. If you are just looking for a decent place to rest and crash in between touring the local spots, this is good enough considering it is strategically located.